Hello and happy Monday. We had such a beautiful weekend here in Charlotte and we took full advantage of being outside as much as possible since I knew it wasn’t going to last. Good call because today it’s cloudy, cold and raining. Oh mother nature you are such a tease. 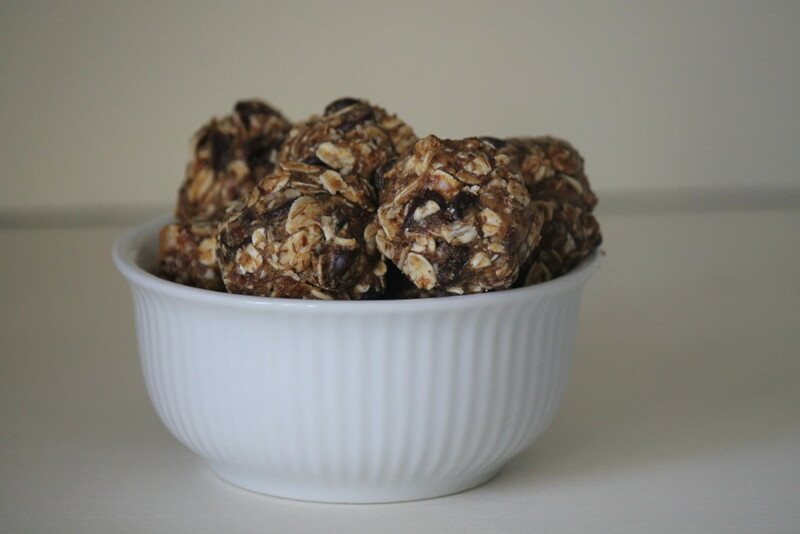 Despite the weather I have been on a roll lately, stocking our refrigerator with healthy snacks, particularly these energy bites and others similar to it. First I made these then followed it up the next day by making a double batch of these. 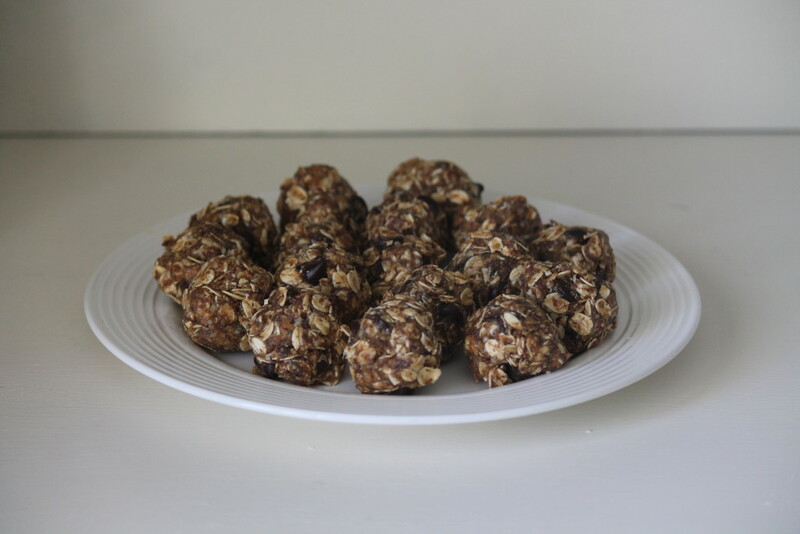 Yesterday I decided to put my own twist on things and use some ingredients I already have on hand to come up with a different flavor of these healthy treats. The result was this tasty bite resembling that of an oatmeal chocolate chip cookie. The difference being this “oatmeal chocolate chip cookie” is made with good for you ingredients and full of fiber and protein. Who knew such a little bite could pack such a nutritional punch. At the moment we have three different kinds of tasty energy bites in our refrigerator and this makes me very very happy. I’ve been pulling them out for an afternoon snack and in the evenings once I put Scottie down for a sweet treat alongside a glass of milk. My husband pretty much pops them in his mouth like it’s candy, so it’s safe to say my fridge won’t be stocked with these bite sized treats for long. Since the flavor combinations are endless I am already brainstorming what flavor combination I want to try out next. Store in the refrigerator up to a week or in a tightly sealed container in the freezer for longer.